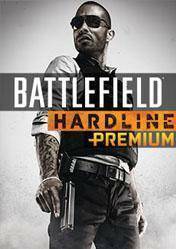 Digital code or cd key of Battlefield Hardline Premium for Origin platform. To download Battlefield Hardline Premium cd key, simply add the digital cd key in your Origin account and start downloading. Battlefield Hardline Premium is the season pass for next shooter from EA, belonging to the Battlefield franchise, where two sides, cops and robbers face in extensive action packed maps. This Premium version will get the four expansions that will emerge on the market: Battlefield Criminal Activity, Robbery, Getaway and Betrayal. In addition, premium members can play two weeks before the official launch of Battlefield Hardline. Also get 12 Battlepacks, containing an assortment of items, including experience increases, accessories for weapons and more. Remember that delivery times for the cd key, payment methods and versions may vary from store to store, so we recommend you read carefully all the information in each of the stores before buying the Premium version of Battlefield Hardline . Remember too, that this version does not include the original game only gives you access to expansions, plus gift items, so it is necessary to have an original copy of Battlefield Hardline. The game is awesome and with the premium membership it is just more special and great !